Home » Have You Seen Toddler Foot Peeling? Act Immediately! Have You Seen Toddler Foot Peeling? Act Immediately! Are you concerned because your adorable toddler seems to be uncomfortable? When he toddles around, does he act like something is bothering his little feet? Unfortunately, your toddler’s delicate skin may be causing some problems for your child. It is quite possible that your child has a toddler foot peeling problem. 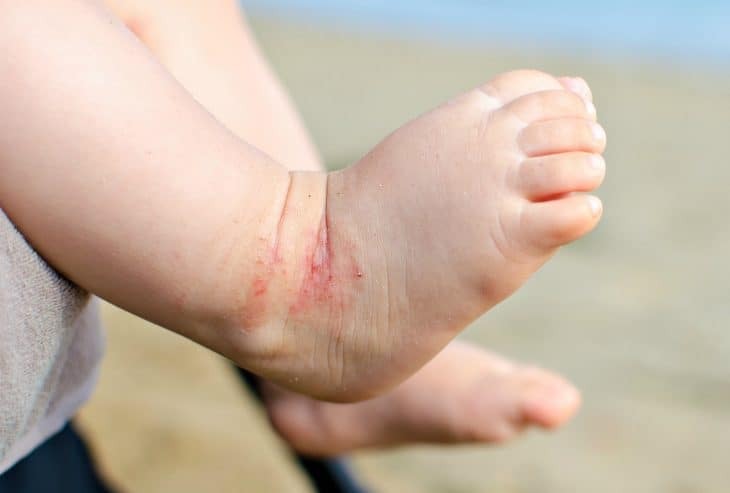 If you notice the bottoms of your child’s feet seem to be peeling or the skin is cracked, this issue is more of an uncomfortable problem than a serious one. However, you will need to seek help from a medical professional in most cases. 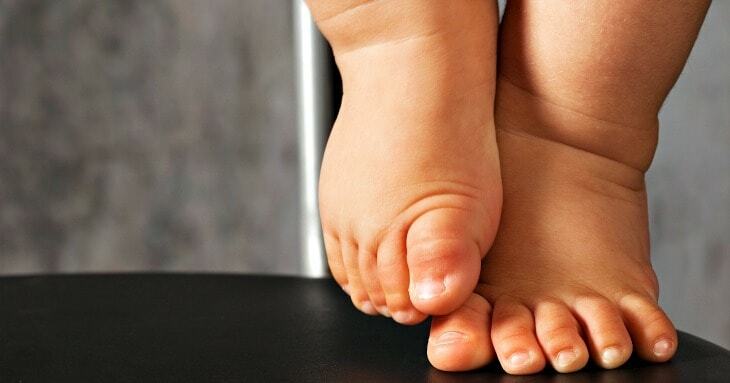 One of the most common causes for your little one’s feet peeling is athlete’s foot. You may be thinking that athlete’s foot only affects adults or athletes – this is wrong. Athlete’s foot can affect anyone at any age. Athlete’s foot is a fungus that appears in damp place on the foot and causes the skin to peel. The fungi develop and grows in damp settings – so if children wear socks or shoes that are damp, they risk developing athlete’s foot. Additionally, athlete’s foot is spread easily. The peeling skin is a sign of athlete’s foot. If you child also seems uncomfortable because of the skin issues on the foot, then he/she should be seen by a doctor. Another possible cause of foot peeling is ringworm. Ringworm is also a fungal infection that affects people of all ages. This infection is recognized by the circular peeling patterns on the skin. In addition to fungal infections, some children are prone to dry skin. Dryness of skin can be a troubling condition for children because it makes children uncomfortable and itchy. For instance, children with dry skin have a hard time sleeping. But, it is more common than you think. Many children and adults suffer from eczema. Eczema is a skin condition that is not contagious. It makes the skin red, itchy and flaky. However, eczema is more likely to occur around the scalp, ears, elbows, and hands than on feet. Why Are Toddlers More Prone to Skin Conditions? Toddlers are prone to skin conditions that cause foot peeling. Why is this the case? Well, their skin is delicate. Also, they grow so quickly that they may be wearing shoes that are too small, which contributes to the dampness in small areas. Additionally, conditions such as athlete’s foot and ringworm are easily spread. Therefore, if you child is in daycare, a nursery setting, or using communal spaces, then it is a risk factor. Many children are in places where these fungal infections are spread. If you noticed your child’s foot peeling, you should seek medical help. While these types of conditions are not serious, most need to be treated with medication. Since it is often difficult to determine what is the specific cause, a trip to the doctor is necessary. Your child’s pediatrician will be able to do a scrape of the skin on the foot to test it. This will allow the doctor to identify the true cause and treat it accordingly. Most of these conditions can be treated with over the counter medications. However, if these medications do not work, your doctor may prescribe an oral or topical medication. Parents can help their child avoid these fungal infections by avoiding wet socks or shoes or shoes that are too small. For example, it means drying off completely before putting on shoes. You can also teach your child not to share shoes and socks to help prevent the spreading of infections, as well as teaching your child to keep his/her shoes on in public places. For children suffering from eczema, parents can help them deal with the itchiness by using body wash products that are good for sensitive skin, as well as using a moisturizer daily. Dermatologists will also be able to help parents prevent flair-ups by identifying contributing factors. Foot peeling in toddlers is not any fun for them or for their parents. If your child’s feet are peeling, the skin is flaky or red, you should seek medical help. For most children, these skin conditions are a short-term nuisance. However, if your child is suffering for eczema, your dermatologist and pediatrician will be able to help guide you on your journey to finding long-term relief. Just think – pretty soon this pesky foot issue will be resolved and your little one will be having the time of his/her life on a toddler scooter.